Fifth part in the Selten Gehörte Musik reissue series. Recorded by Dieter Roth and Oswald Wiener at Mosfellssveit, Iceland, May 28 - 30, 1976. 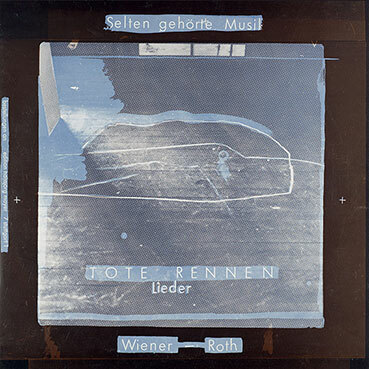 Packaged in fullcolour LP cover (reproduction of the original), with printed innersleeve featuring a new text about "Tote Rennen Lieder“ by Michel Roth (with the english translation as an insert), as well as a rare drawing / "liner ntes" by Dieter Roth. Edition of 500 copies.